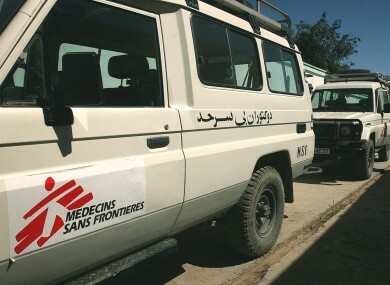 File photo of Medecins sans Frontieres aid trucks. FIVE STAFFERS OF the international aid organization Doctors Without Borders have been taken in for questioning in northern Syria. We are doing all we can to do re-establish contact with our colleagues. Also yesterday activists reported heavy clashes between Syrian opposition fighters and ISIL members in the northern provinces of Aleppo and Idlib. The Observatory said yesterday’s fighting was concentrated in the city of Aleppo and the nearby town of Atareb. Fighting between rebel factions and ISIL, which has many foreign fighters in its ranks, has been common in areas under opposition control. The Aleppo Media Centre reported clashes between the ISIL and the Mujahedeen Army in rebel-held western parts of Aleppo. Email “Concerns for five aid workers taken away in Syria”. Feedback on “Concerns for five aid workers taken away in Syria”.